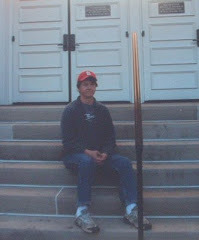 Well, this is going to be my final "From death comes life" post. You see all the little baby robins have left the nest. 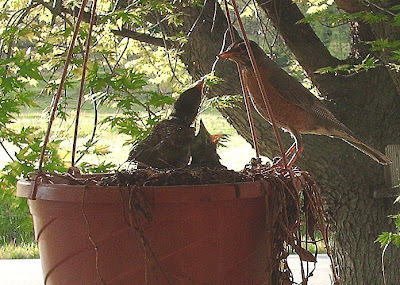 This is the last picture I took of mama robin feeding her babies. 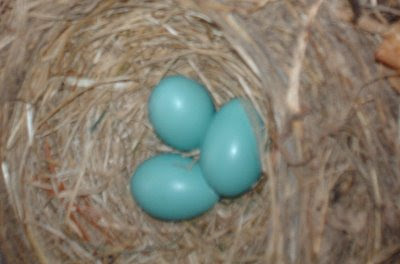 I found the eggs in the nest on our porch back in late March. 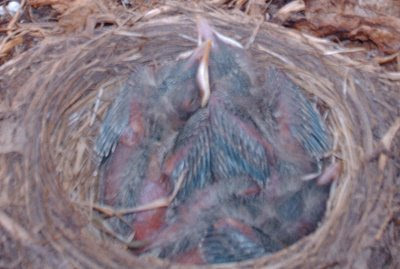 By early April they hatched. 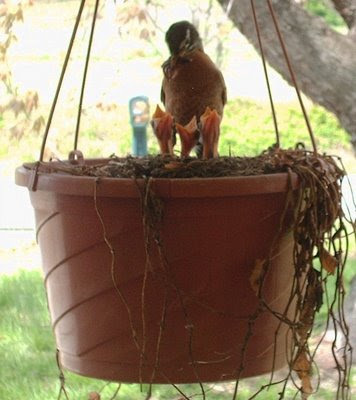 We watched everyday as mama robin and daddy robin both fed them. I watched the first one fly away. 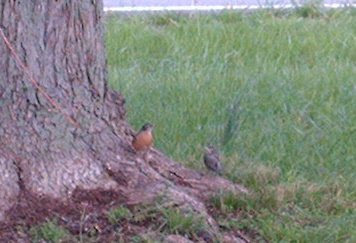 I went out this morning and saw all three healthy baby robins in the trees in front of our house. I watched mama and daddy robin feed them in the trees and keep them safe by running off all other birds. 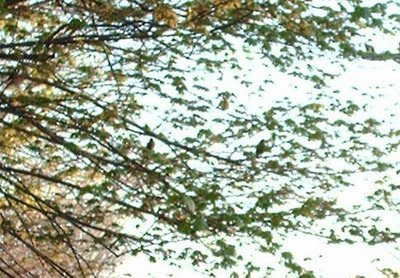 I saw them fly from tree to tree and was amazed at it all. This is where they were born and where they lived for a while. It looks so empty. I will miss them and will miss posting pictures, watching them be fed and checking on them. This has been a truly amazing experience. I appreciate all of you commenting and following their growth. 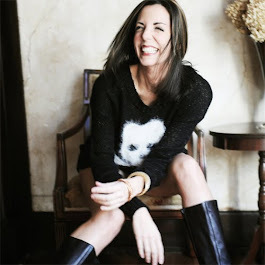 Now, if I could just my youngins out of my nest...maybe I could write a freakin song!! 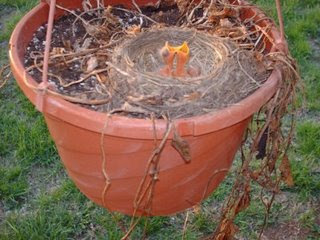 My sister has doves that nest on her balcony. For 5 years she says the first baby leaves the next and then 5 days later, the other one does. EVERY year. Nature is truly amazing. I'm going to miss the Robin family. Hopefully they will be back every spring. If we live here next year, I am going to hang the planter in the same place. 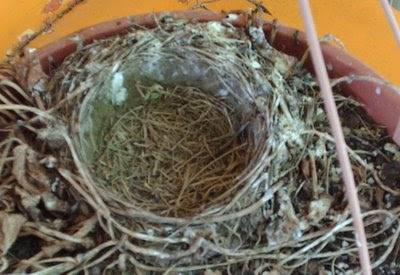 Either way, I am going to keep it and hang it somewhere next Spring in hopes of providing a home for some other baby birds.